The centerpiece of the modular system Pleat is a cube. 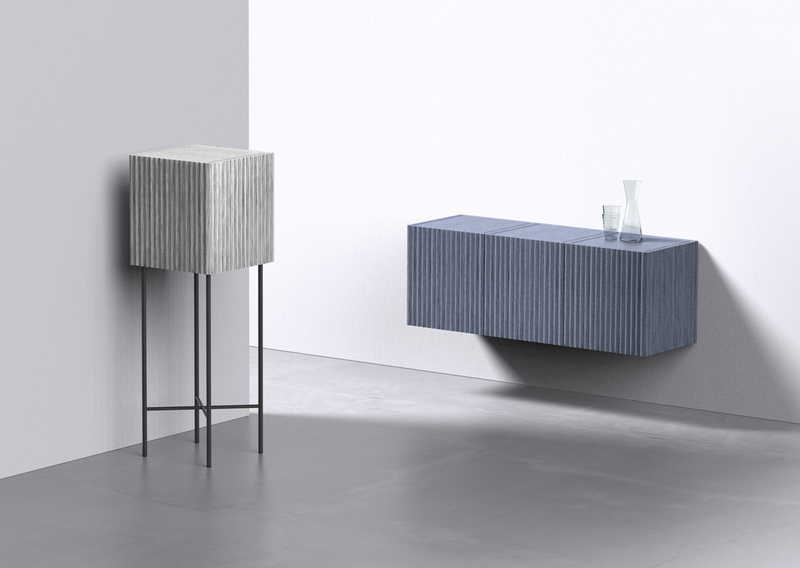 Thanks to its simple principle, the cubes can be configured and designed as desired: as an iconic mini-bar or an elegant sideboard, mounted on the wall or standing on delicate legs, thanks to its haute-couture inspired surface, Pleat becomes a housemate with character, which on top keeps everything in order. 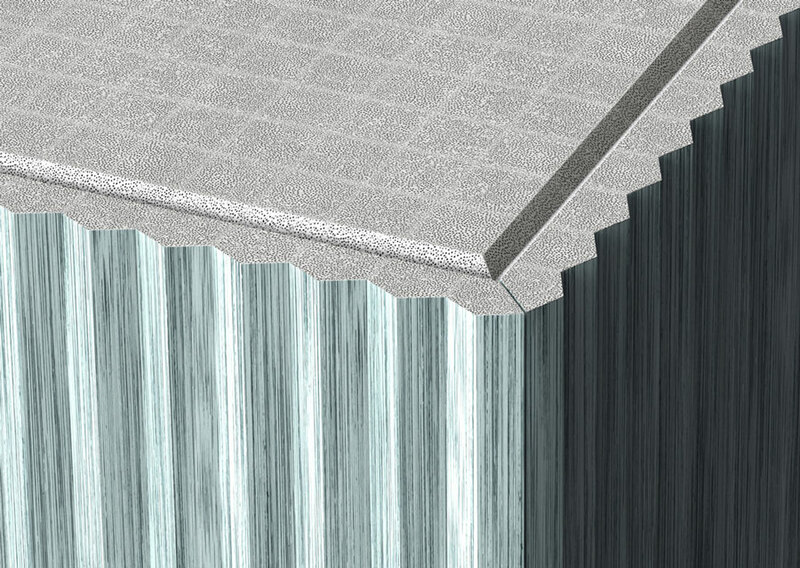 Pleat is produced of the unique and future-oriented wooden material Karuun, based on the raw material rattan, which gains new color and surface characteristics by injecting natural fillers. Karuun is a sustainable alternative to conventional materials since the rattan palm needs healthy trees to climb on, which leads in the end to rain-forest protection. 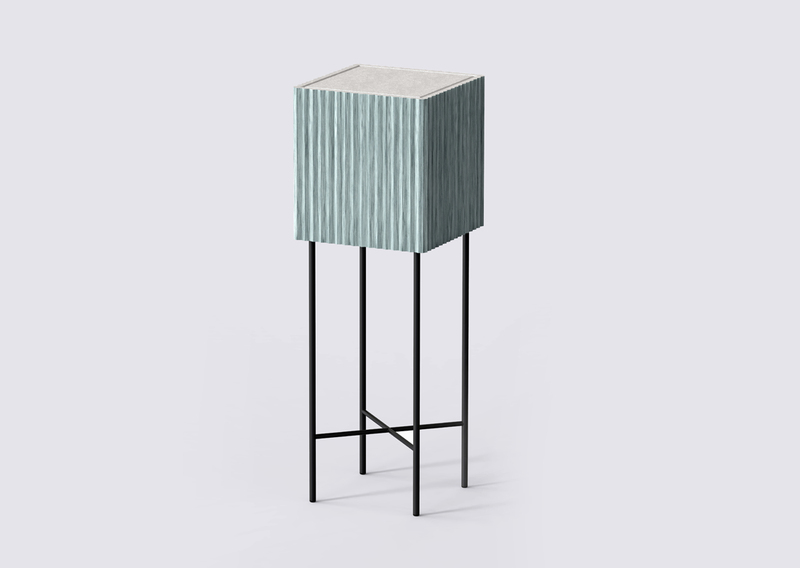 Thanks to its simple principle, the cubes can be configured and designed as desired: as an iconic mini-bar or an elegant sideboard, mounted on the wall or standing on delicate legs, thanks to its haute-couture inspired surface, Pleat becomes a housemate with character, which on top keeps everything in order. RSW is an agency for product design & innovation consulting known for subtly innovative solutions in the product, furniture, lighting and accessories fields. Using a blend of methodology and magic, they like to enter new creative territories to define iconic products with relevance.